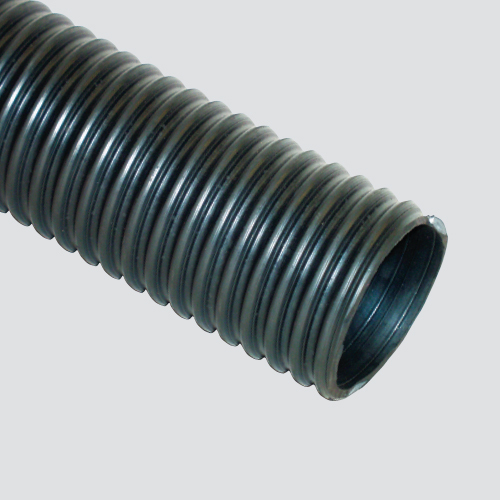 The medium weight bulk material handling hose is constructed of an abrasion resistant, rubber compound that is also static-dissipative. Specifically designed for products that can be moved by air, such as rock wool, saw dust, and fiberglass, this hose is great for use in ventilation systems where dust is a work hazard, like grain elevators and cement plants. Hose is also ideal for material vacuuming applications like grain vacs.